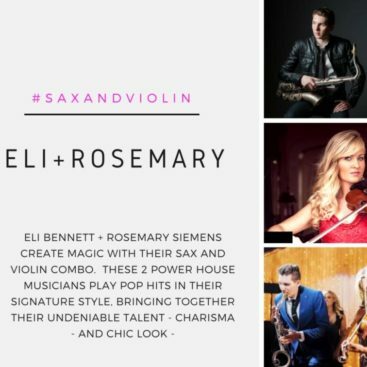 World-class improv violinist Rosemary Siemens and 35-time award-winning jazz saxophonist Eli Bennett have joined forces to create “SaxAndViolin” an exciting musical duo fusing crossover genres of pop, jazz, and classical-pops for private and corporate events and parties. 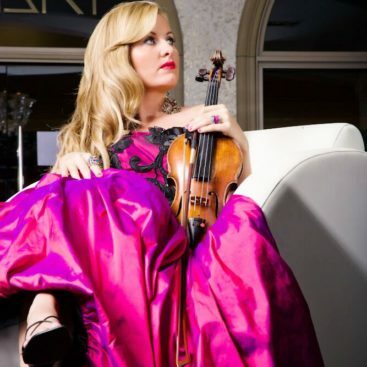 As a solo-violinist, Rosemary Siemens has performed four times at Carnegie Hall, was the first violinist to perform at the Sistine Chapel at the Vatican, and has toured the world with the likes of The Canadian Tenors, Marie Osmond, and the Rankin Family. From the stages of Carnegie Hall to Walt Disney World Florida, this Canadian musical sensation has been capturing the hearts of audiences with their fresh musical arrangements, their technical virtuosity, and their ability to invite their audience into the music making process. 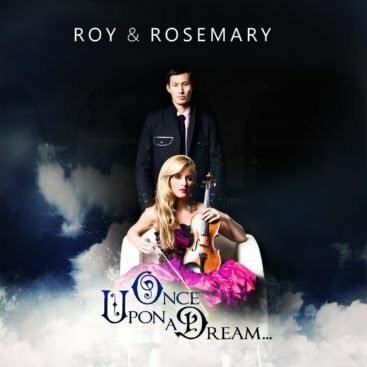 Meet Roy & Rosemary, the modern take on the Piano/Violin duo. Rosemary Siemens enjoys sharing stories about her journey and musical entrepreneurial experiences and has had the opportunity to be an inspirational speaker at The World Entrepreneur Forum, National Spiritual Care Conference, Vancouver Business By The Book, The Entrepreneur, the Estate Planning Conference of BC, and Manitoba Chamber of Commerce.